Then creativity and consciousness can play in an expanded view beyond the personal, the Evolutionary Artist is born. Evolutionary Artistry creatively weaves the horizontal threads of time and space with the vertical threads of pure presence co-creating with all of life in the process. This living tapestry or artistry helps to evolve our species and unify life on our planet. 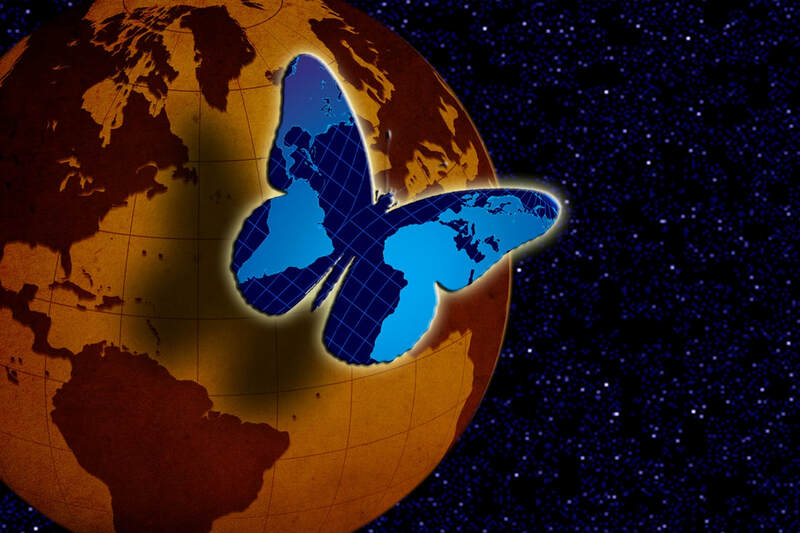 You are the blue butterfly looking back at yourself as the whole alive Earth. You are an Evolutionary Artist.